 There are unlimited threats to your network and data from both outside and within. Cyber criminals are getting smarter all the time. They’re constantly on the hunt for new and unique ways to breach your network and harvest your data. But they’re no match for our network security services! Don’t be held hostage. Ransomware attacks are costing SMBs thousands. We’ll make sure your data is never taken for ransom. Employees go rogue. They also make mistakes. Don’t worry. We’ll give you guidance and support to stay ahead of the danger. Hackers want your data. But first they need access. We’ll help your team stay one step ahead of them and keep your network safe from harm. The threats grow stronger every day. Not as strong as us. With our oversight, your network will be protected from the latest scams. Erin Farrell, the Director of Operations at Dudley DeBosier, explains why Dudley’s partnership with Immense Networks has proven to be critical to everyday efficiency. Farrell shares a story of progress, change, and technological advancement, which ultimately helps her legal firm grow bigger, better, and faster. And we take your network security seriously. We protect every one of our clients’ networks as if we were managing our own, because our reputation depends on your security. We’re available for direct support when you need it. And we’re working behind the scenes even when you don’t. 60% of cyberattacks are carried out by insiders. Don’t get caught without the proper protections against insider threats. 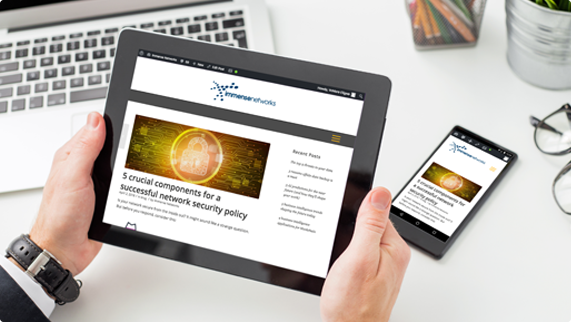 Check out our 5 crucial components for a successful network security policy to get started shoring up against the threats.